The day after my last post I received a call from the property manager of the house in Evergreen. 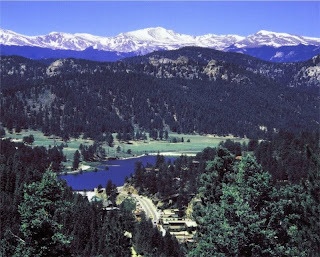 Everything has worked out, I've signed the lease and I'll be moving to Evergreen, Colorado on December 1st! I am extremely thankful to the property manager who worked so hard to get the deal done, to the owners who made it possible and who will allow me to enjoy their beautiful home for the next six months, to my mother for her prayers (to God for answering) and to my friends and family who have patiently listened to an endless loop of my worries and doubts and second-guessing. So, after a year of documenting this journey over at Every Day Do One Thing, searching and vacililating, it's finally time to move. Of course this is really just the beginning of a new journey which will entail finding a new job in Colorado and then buying my first house. I'll continue to document all of it here and on Every Day, I hope you'll continue to follow along. What a Treat to have you share this good news now. Of course I'm thrilled but not at all surprised! I've been following your posts for some time and I'm really pleased to see this working out so well for you. I'll look forward to seeing and reading more about your continued journey. Thanks for the visit! I'll be watching your wonderful new adventure. Blessings to you! That's just fabulous! I've been thinking of you and wondering how it's going. Thanks for your comment about the books - I always love hearing from you! I loved Astrid and Veronica, too. LOVED. Let me know what you think about The Poet of Tolstoy Park. That is incredible!!! Good luck to you.